My squash and sweet potato hating boyfriend (as he's fondly known here on the blog) took it upon himself to grow a beard about four months ago. As soon as I noticed his facial hair growing out, I started making plans for DIY beard balms and beard oils. The last time he grew his beard out was last summer when we were traveling overseas. It made such an impression on his parents that they bought him a beard grooming kit for Christmas. However, when he arrived in town for the holiday, they found that he'd shaved his beard off! Whoopsies! Well, about a month later he decided to re-grow it. Finicky, right? This time around I made him promise to not shave it off so I could fix a homemade beard balm recipe for him to try. 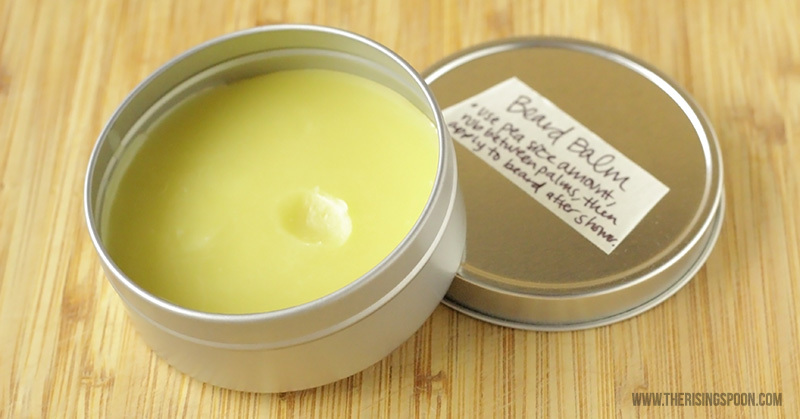 Beard balm is a hair grooming product that helps to moisturize and tame beard hair. It's typically comprised of oils that help to condition the hair and skin (like argan or jojoba), beeswax to give it some hold, and essential oils for scent. If your beard hair seems to have a life of its own or is a bit too bristly/scratchy, beard balm to the rescue! No one likes to rub their fingers through an itchy beard or snuggle with a prickly faced dude. Am I right? There are lots of trendy expensive beard grooming kits you can buy, but I prefer to go the DIY route so I know exactly what's in the products that I (or my loved ones) use. I also love the flexibility of adding in my own therapeutic grade essential oils to make different scent blends with wonderful aromatherapy benefits. To get the best bang for your buck, I recommend buying a handful of high-quality ingredients in bulk to have around when you're ready to make more DIY bath & body products. Beeswax is handy for lip balm, jojoba oil for homemade hand soap or a whipped body butter recipe, and argan oil for anything hair or skin related (like beard oil). A good time to apply beard balm is right after a shower once you've towel dried your hair and beard; however, this isn't mandatory. You can apply it whenever. 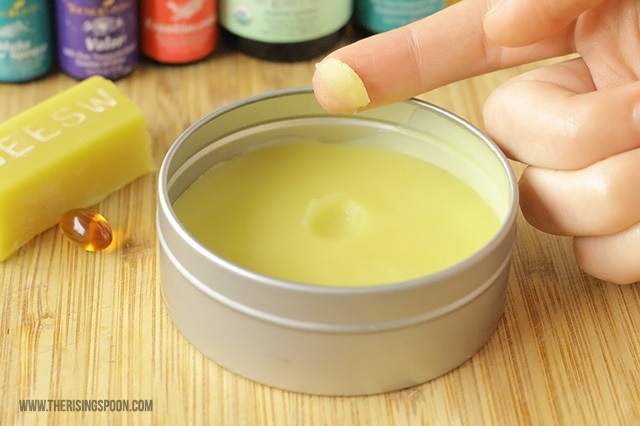 To use, scoop out a dime sized amount of balm with one of your fingers, lightly rub it between your hands, then rub your hands over and through your beard. Evenly distribute the balm while smoothing out stray hairs and neatly shaping your beard. If you accidentally use too much balm your beard will glisten quite a bit (my guy did this the second time around). If you have to go out and about and don't want your beard glistening in the sun, simply wipe off any excess with a towel. However, if you've applied it at night...just keep the extra on and let it soak in as you sleep for a deep conditioning effect. This is a great opportunity to choose essential oils that smell amazing and also promote healthy skin and hair. Personally, I like to start off with one or two scents that I enjoy, then accent them with a few drops of other essential oils that have beneficial properties for skin and hair (like Frankincense & Rosemary, for example). 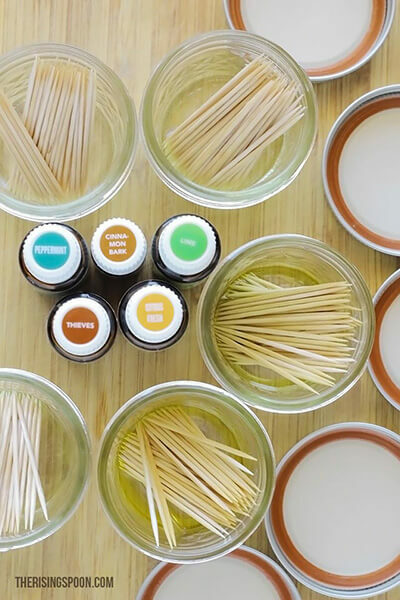 You really can't go wrong, per say, when it comes to choosing essential oils for DIY products. It all comes down to the personal scent preferences of the person using them and what aromatic or topical therapeutic benefits you'd like them to gain from applying the oils. 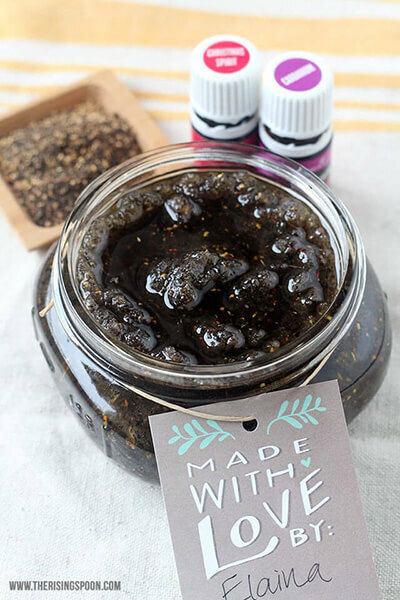 Granted, if you start mixing together essential oils willy nilly, it could create an overwhelming, stinky mess. With that said, do make sure to mix your essential oils in a separate glass container FIRST so you know they smell okay before adding them to the balm mixture. Can I just say that I LOVE LOVE LOVE this combo of oils together? It smells SO freaking good. If my guy wore this as a homemade cologne, I'd use every excuse to get up close and take a whiff! To be honest, I'll probably start wearing it myself since I love it so much. Newsflash: not every dude enjoys smelling like trees a.k.a. "rugged mountain man". Some guys prefer citrus scents, others like sweeter smells. The same goes for ladies. It's entirely dependent on the individual. For example, I love the smell of cedarwood. It's one of my favorite essential oils for sleep. My boyfriend on the other hand? He thinks (and these are his exact words) "it smells like someone farted next to a tree". Never a dull moment with this guy. Better safe than sorry. 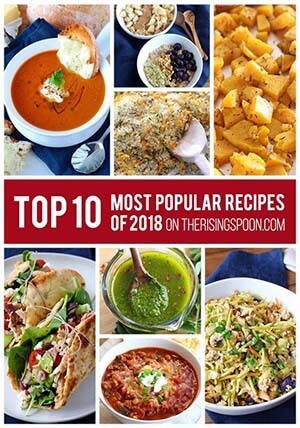 Just leave them out and use the basic ingredients for the recipe. 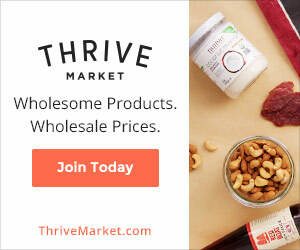 If you'd like to know more about where I purchase therapeutic grade essential oils for 24% off retail, check out my essential oils page or read my post on what you should ask before using essential oils. 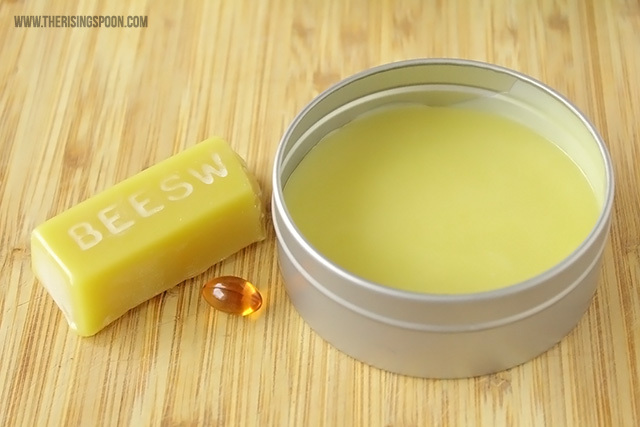 A homemade beard balm recipe made with beeswax, jojoba oil, shea butter, argan oil, vitamin E oil, and essential oils. Apply after a shower or before you go out to moisturize and tame your beard. Makes an excellent DIY gift for a father, husband, boyfriend, brother, or friend in your life! 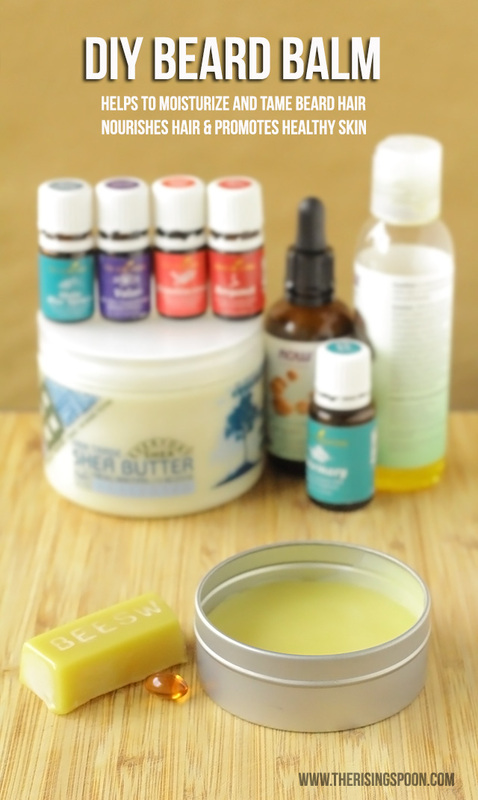 Note: If you don't have any essential oils on hand, but want to make a balm...just skip 'em! The beard balm will end up smelling mostly like shea butter without essential oils since that is the strongest smelling ingredient in the bunch. First, create a makeshift double boiler by filling a small saucepan 1/2 way with water and turn the heat to low or medium-low. Once the water is hot (barely a simmer), place a 2-cup glass or ceramic measuring cup directly into the water propped on the side OR sit a larger sized bowl on top of the saucepan to melt the beard balm ingredients in. If you're putting the container directly in the water, take care to use an oven mitt when handling it. Using a grater, shred 2 tablespoons worth of beeswax. Place the beeswax into whatever container you're going to use to melt the mixture (measuring cup, mixing bowl, etc. 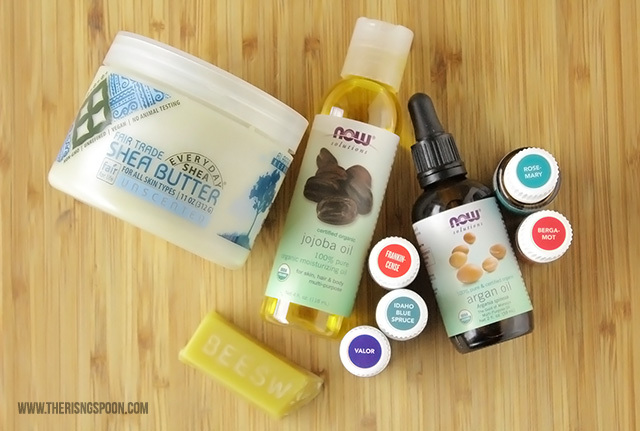 ), then measure in the jojoba oil and shea butter. Place the container either over or directly in the water on low heat and wait for it to gently melt. Once it's completely melted (no beeswax or shea butter solids remaining), turn off the heat and set the pan aside. Quickly add in the argan oil, vitamin E oil (if using) and the essential oils of your choice, then give it one last stir. Immediately pour the mixture into your chosen container. 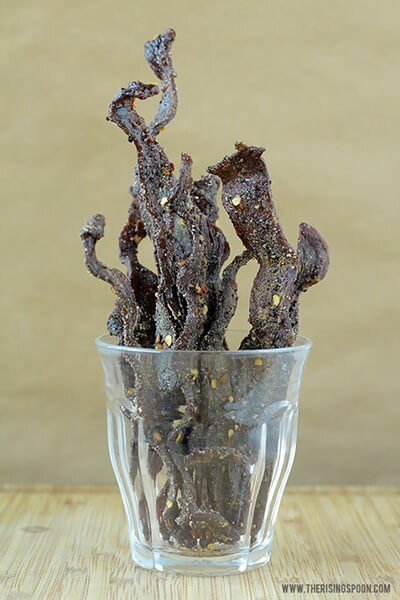 I used a circular metal tin from The Container Store (I also use these to hold my DIY flavored toothpicks), but a small mason jar would work perfectly fine. Let the balm set, cool, and solidify for at least two hours, then cover with a tight fitting lid. If your beard is super short, you may only need a pea sized amount; conversely, if you're beard is much longer it may require a bit more balm. If you have any extra on your hands, you can rub it on your arms or chest to moisturize the skin or simply wipe it off with a towel. What are your best tips for keeping your beard (or your man's beard) looking & feeling nice? 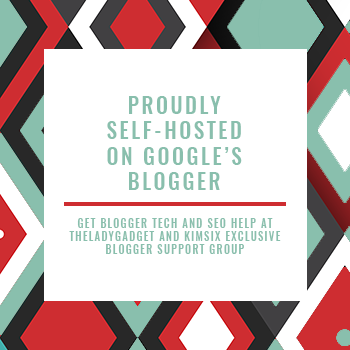 This post has been shared at the following parties: The Wednesday Roundup, Worthwhile Wednesdays, Wonderful Wednesday, Whimsy Wednesday, and Wow Me Wednesday.